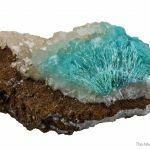 Good aurichalcite is RARE from Bisbee! 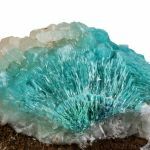 At first glance, one might thing this is a more common piece from Ojuela, but the matrix and style is subtly different and distinct. 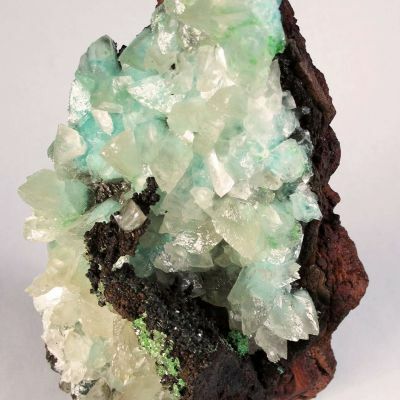 It is in fact a rare old Bisbee piece from the mid-1900s, from the noted Bisbee collection of Dennis Mullane. 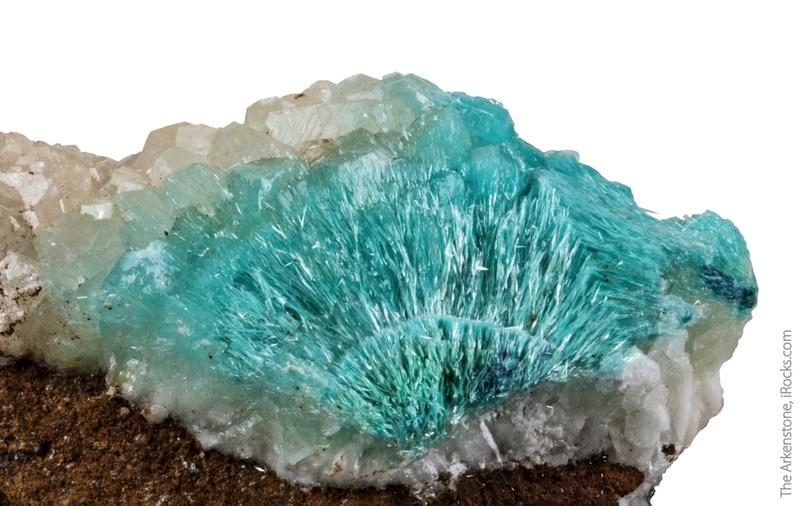 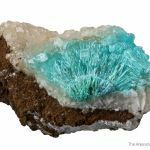 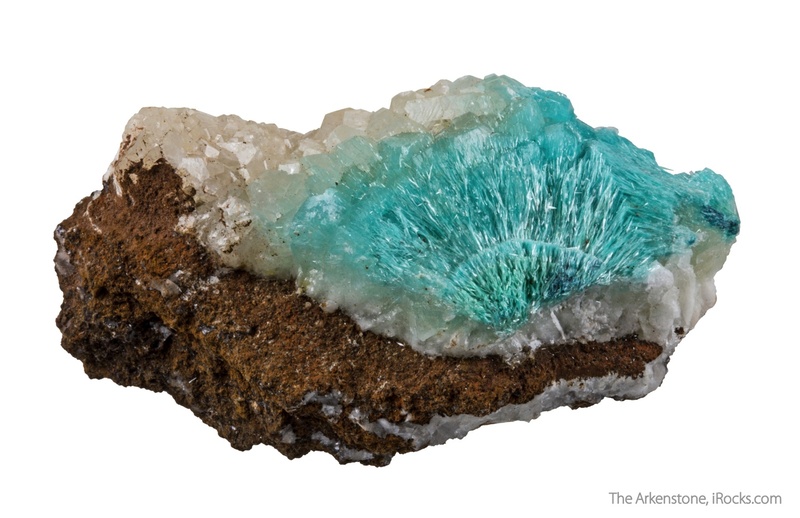 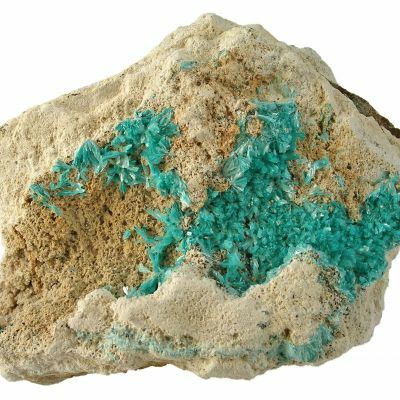 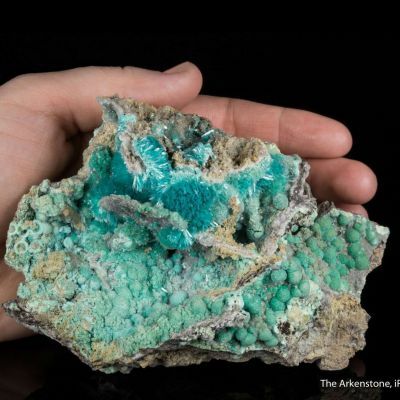 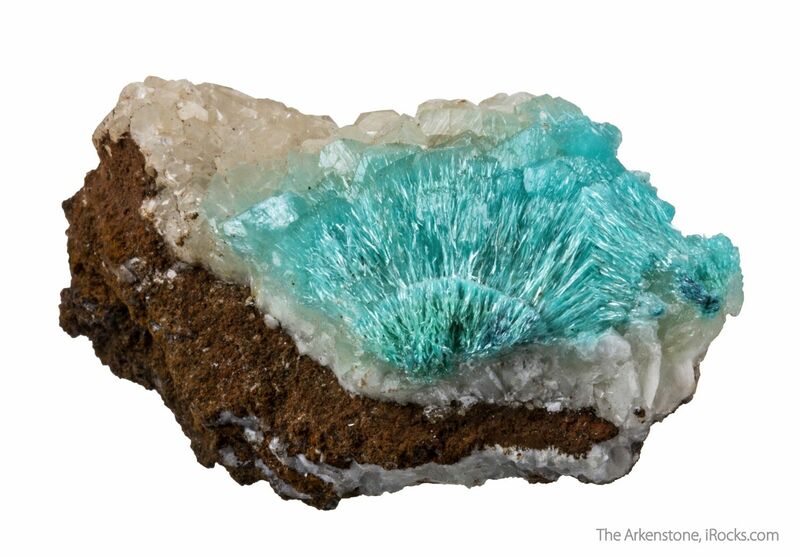 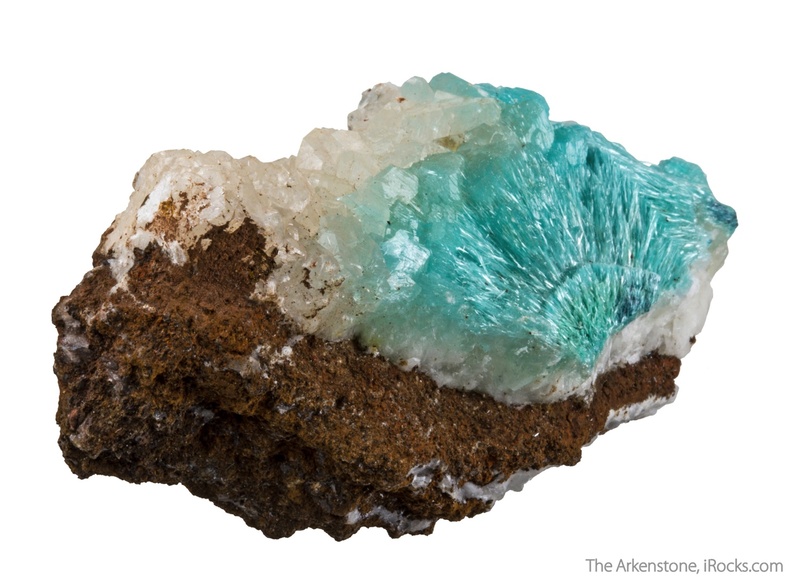 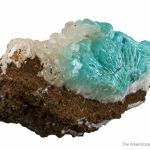 The piece displays a large cluster of divergent, acicular crystals, to 2 cm in length, of aurichalcite exhibiting a most beautiful turquoise color, set against white calcite.